Get WACKY! SDL Wacky Stix are the perfect bait for Wacky-rigged presentations, perfectly designed to offer a ton of action on the fall. The fish can't stand all the appendages undulating in the water. 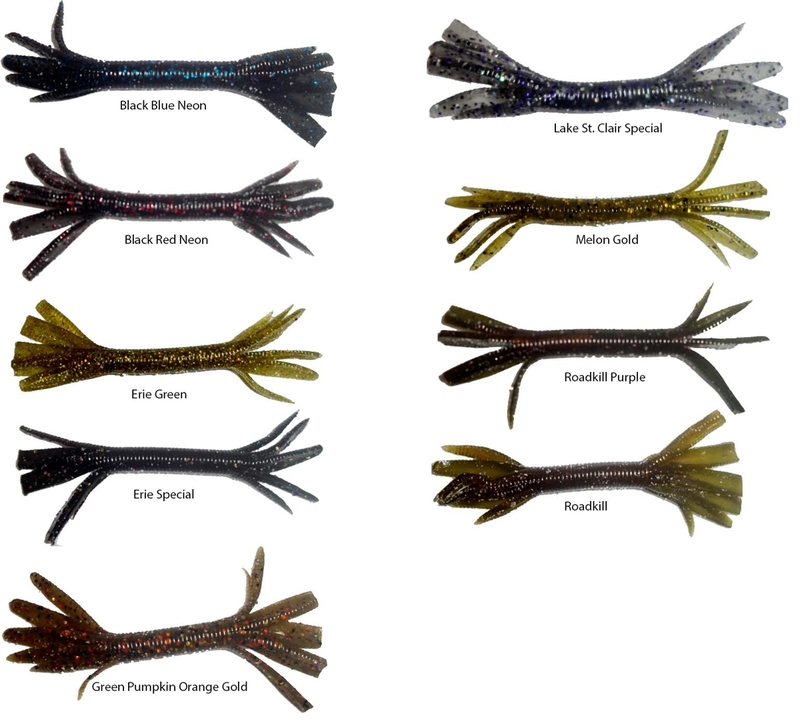 Available in two sizes and multiple colors, there is a bait for every condition! SDL's innovation with lure designs like these prove that their products are cutting edge, and a force to be reckoned with. I tried this on Lake St Clair the first cast big Smallie hit but lost it at the boat. Few casts later hooked 3 lbs SM. We moved to new spot hooked 3 lbs on first cast, second cast another one, third cast another one, and on the forth cast a 2 lbs SM hooked. I am still shaking my head never seen this happen before. It's my second favorite bait been using it over 5 yrs and can't put it down!